The time has turned and today we are categorizing a 40-inch TV with HD screen as a “budget” commodity. There were times when this big of a screen size was considered having a worth equal to that of a small car but today, its value is no lesser than an outdated smartphone. We’ve developed a clear obsession with size and anything around 20-inches doesn’t seem to satisfy that. Your choice of monitor for your personal system largely depends on the kind of usage you’ll have in everyday life. Those who seek passion in photography and videography are usually relaxed about the speed of the systems but are more concerned with the screen resolution. On the other hand, gamers looking for an ultra-fast monitor with highly swift refresh rates. Some may not get bothered in the first place. However, professionals know that how big of a deal is the speed and screen resolution of a monitor is. The LG 32MA70HY-P 32-inch Full HD IPS LED Monitor is a productive IPS monitor that has been made to maximize your per unit workload. The new monitor tends to increase the portfolio of jobs that you can carry out with one monitor. Let’s see how well this big screen works for us! Everyone may not find this topic full of fun but it’s important to see how monitor technology works. 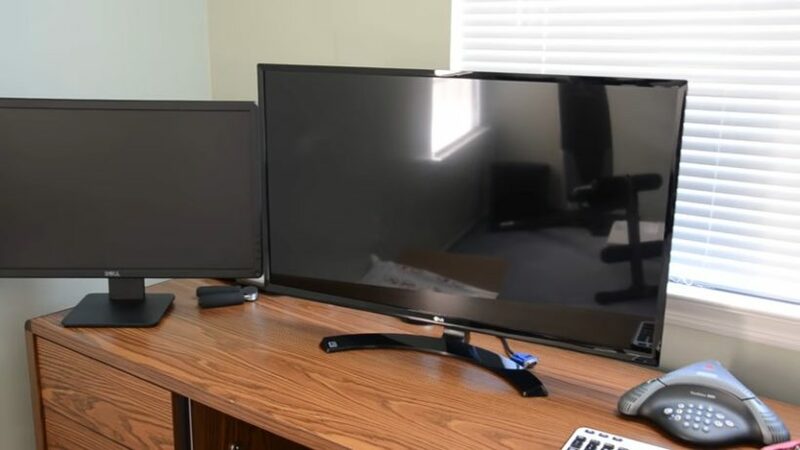 There’s one type of users who go for those monitors that fit their budget best and that meet their demand for the screen size. On the other hand, some may go deeply looking into the reviews and user experience of their monitor before they actually finalize their purchase. There are almost negligible users who strive and look into the technology that operates these monitors. We know what snapdragon 845 can do for us we have rarely come across the words like Twisted Nematic or TN. This technology, namely TN was developed back in 1960. The procedure operates such that electric current disrupts the alignment of liquid crystals and let the light through or disperse. There are some major disadvantages associated with the phenomenon i.e. there’s frequent inaccuracy in color reproduction that can be perceived clearly by the viewer at certain angles of sight. A much modern approach is the IPS technology which showed up in 1990 with a desire to recover the drawbacks of TN. IPS monitors have more accurate color reproduction and they provide a viewer to look at the screen without color inversions for a wide range of angles. However, these monitors come at a greater cost and slower response time. The advantage is an approved resolution so it’s worth switching. The black plain design which is minimalistic and praiseworthy at the same time makes it blend with all kinds of backgrounds you will place it in. It won’t put a burden on your electricity bill as well because it operates at 33 Watts under regular use. LG chose to install specific ports in this monitor which include the HDMI, the display port and the D-SUB connectors. There are no USB ports and to your annoyance, the headphone jack is placed at the back. The monitor doesn’t seem to be highly aesthetic but most will agree that there isn’t much about the outlook of monitors anyway. One great feature that LG embed in this monitor is the configurable screen option. LG named it Screen Split 2.0. The feature allows you to create multiple monitor screens on one screen and enhance your productivity and user experience. However, there’s a chance that many will find this option hard to grasp before they can actually start using it. No doubt LG 32MA70HY is priced well. For a large IPS monitor, this price does no harm and that too with an excellent performance. There are no serious issues about color reproduction and color inversion. The monitor provides optimal performance from all possible viewing angles. However, when it comes to speed, users may experience a slight catch. The resolution is bothersome as well but apparently, that’s the most you can get in this price range. 1920×1080 looks fine on the standard monitor but if you stretch it to fit a large screen the clarity is affected. LG never planned this monitor to be a flagship product. It is a budget-friendly option with a preferable screen size so users may get adapted to it eventually. We conclude with the idea that for regular usage, the monitor is a perfect product to have but for a fast gaming experience and graphics outlook, you may have to switch to a high-end option.